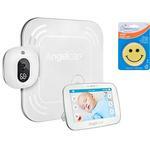 Breathing Monitor for Babies with video and movement tracker gives concerned parents the ultimate peace of mind. 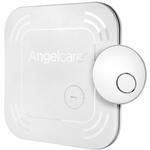 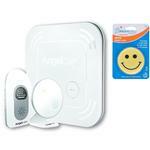 Angelcare’s AC315 movement, video and audio monitor includes the standard wired breathing Sensor Pad and features activity tracking, which reports on babys movement levels. 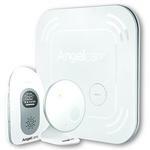 Alarm will sound if no movement is detected after 20 seconds. 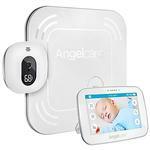 Ideal for monitoring a newborn or young baby. 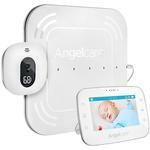 This monitor can also be used without the wired Sensor Pad for those early toddler years. 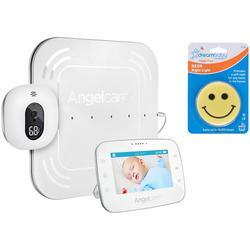 Dependable, trusted, and beautifully designed, Angelcare video and audio monitors are the basic tools of infant care.